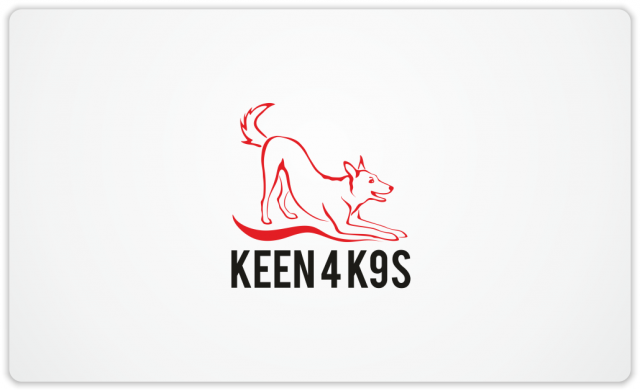 Logo for Keen 4 K9s – dog obedience business | Natalia Sutkiewicz - Graphic Designer Portfolio. Logo, Business Cards, Stationery. I had no time at all to update my website in a very long time, but a lot of projects have been completed by me in the meantime. Here’s a logo designed for Keen 4 K9s. It’s a small, locally owned and operated dog obedience business, located in California, USA. Everyone wants their dogs to be well behaved and properly trained, and every dog wants the same thing for their human. At Keen 4 K9s you can count on a customized training program for you and your dog, along with patience and understanding for your individual training needs. Keen 4 K9s also offers boarding, pet sitting and assistance in maintaining your dog’s health and happiness.